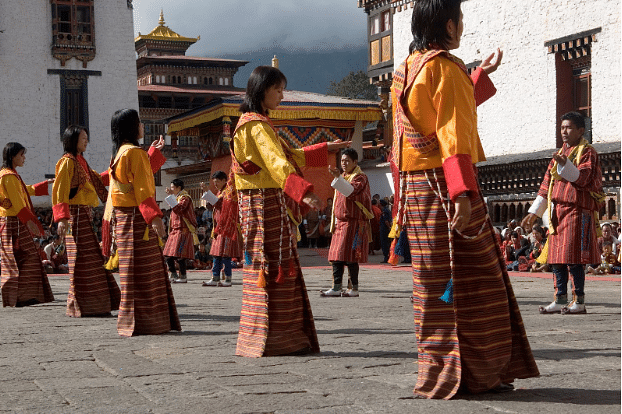 (HER WORLD) – Happiness is not a laughing matter, at least not in Bhutan. Happiness is serious business for them over there. 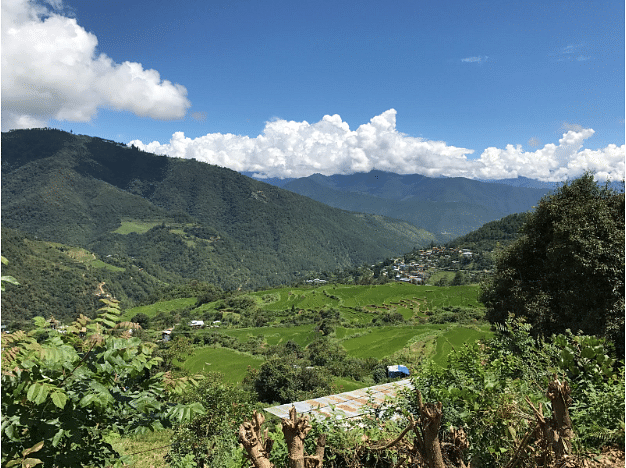 So serious, that they’ve even established a Gross National Happiness (GNH) Commission, which ensures that everything the country does contributes to the overall well-being and happiness of its people. 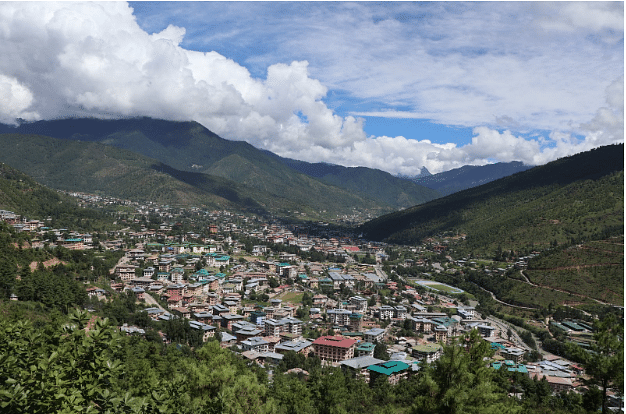 Having lived and worked in Bhutan for almost a year now, what I’ve learnt about happiness is that it is not an end goal. It is the journey and mindful pursuit of happiness that leads to fulfilment in one’s life, and contributes to a peace of mind. Studies have shown that money does not make one happy. Here, the average monthly salary of an employee in the government sector ranges from 20,000Nu to 30,000Nu (S$400 to $600). After deducting financial commitments such as rent and so on, there’s barely enough left to save. 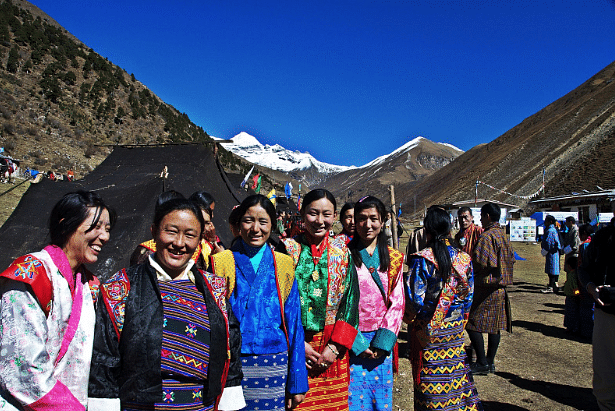 Yet the Bhutanese trudge on, content and grateful for everything that they have. 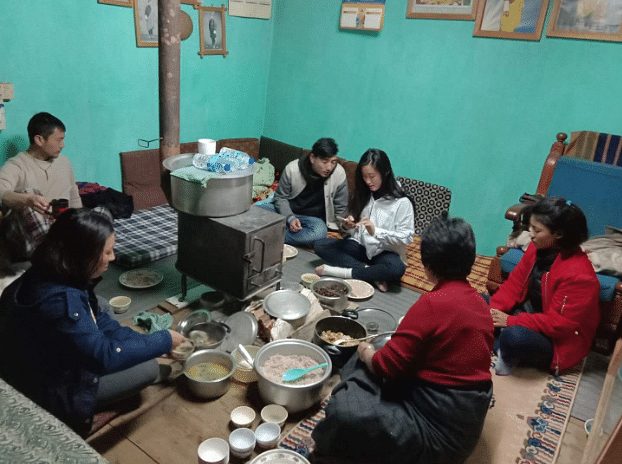 Perhaps it is also due to the Buddhist mindset of living in the present that the Bhutanese live their life one day at a time – despite the lack of financial security – and with a lot of gratitude too, gratitude for their Kings, their work, the beauty of their country, their family and their community. 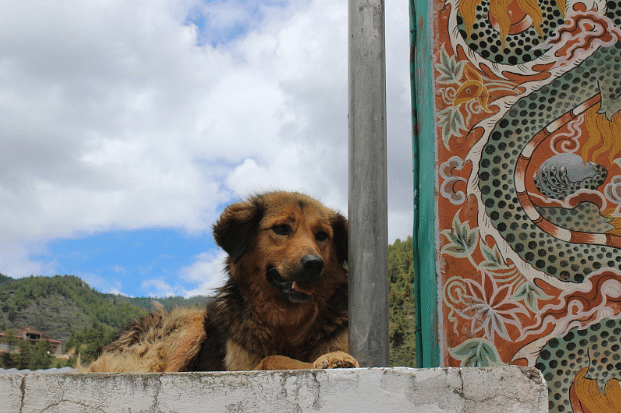 Stray dogs roam the streets in droves – along the roads, napping at your doorstep and even entering shops at times – but you’ll rarely see a Bhutanese chasing a dog away or hitting them. They have become such an essential part of the daily lives of people living here that some locals feed the dogs on a regular basis.